Librarians are available for a variety of research services. If you have a question or need assistance with something that you do not see on this list, ask us! We are happy to help or direct you to someone else who can. 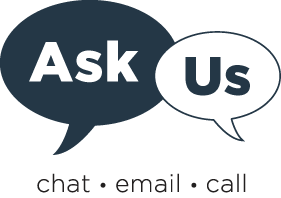 Contact us Monday through Friday between 8:00 AM and 5:00 PM in person, by phone, or via the "Ask Us" logo on our website. Librarians can help you locate the most recent or relevant research in your area of interest using biomedical databases and other resources. Literature searching is available at no cost for UNTHSC students, faculty, staff and alumni, and for a small fee for patrons not affiliated with UNTHSC. See fees for services for more information. Classes are offered for UNTHSC students, faculty and staff on literature searching, citing sources, managing citations with tools such as EndNote, plagiarism, and more. Sessions can be tailored to a specific course or subject. Contact your library liaison to request an instruction session for your class or department. An incomplete or illegible citation can make it virtually impossible to locate or acquire a document. Using specialized knowledge and search skills, we can often solve these time-consuming problems by verifying citations. If you need to know about the relative importance of a given document or author, we can perform a citation analysis to provide information such as number of times cited, journals in which the author has been published, and the impact factor of those journals. We can help you identify relevant journals in which to publish your research and we provide consultation services for using research data repositories. Contact your library liaison to request a consultation. We offer tours of the Lewis Library building and orientations for using online library resources. Orientation sessions are available for new students, faculty members and staff. Contact Library Research Services to schedule a tour or session. Our Clinical & Research Services Coordinator promotes medical and health information access to clinical faculty and medical professionals who need information for research, patient care, and general teaching and learning.